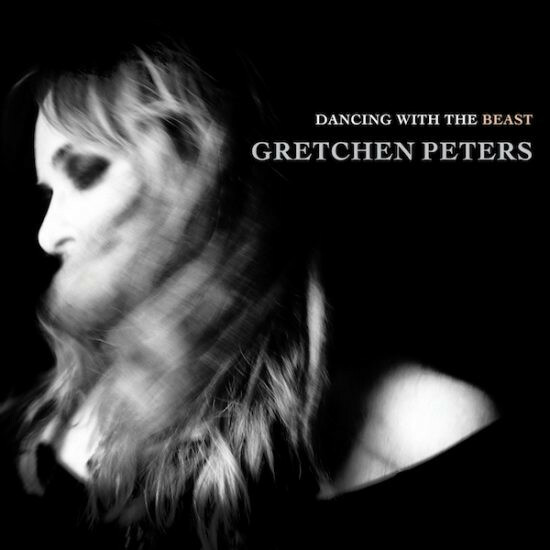 Gretchen Peters’ Dancing with the Beast album review: a survivor’s tale | Daily Review: Film, stage and music reviews, interviews and more. Sometimes, you just get stopped. It’s not a freight train coming at you. It’s not a hurricane tearing towards you. It’s not the rush of traffic bearing down on you. It’s not a question you can’t answer. Sometimes, it’s the voice from a person you don’t know. They’re singing. You were doing one thing – perhaps driving, perhaps reading – and then you were commanded to listen, without distraction, without interference. You pull over, you put the book down. This is not an invasion of decibels; there is no aural amplification onslaught. Sometimes, it is stories wrapped in songs. You just get stopped. You are in thrall. This is the most intimate insistence, the touch of a stranger’s art to your heart and mind. You just get stopped. Dancing with the Beast is a survivor’s suite; a collection of what it means to be human, a meaning that is not guaranteed of sunshine and happiness. Thanks, Gretchen Peters. Thanks for this latest album Dancing with the Beast. As if its predecessor Blackbirds wasn’t good enough, Dancing with the Beast is a gem of beauty, acumen, dignity and warmth, dug from the dark earth of life. Peters knows how to polish the rough edges. These songs are chronicles of the ordinary life made extraordinary in the telling. They are inhabited by characters, acutely drawn and sung with empathy, who have to deal with themselves getting old, or dealing with the grind of the humdrum, of a world changing under their feet and of relationships that can make you fall hard on to stony ground. If it were not for Peters’ compassion wrought in her voice, this album would be unremittingly grim and desperate. It could be where one finds oneself – not so much in nowhere but at the dark end of the street. But Peters is too insightful for that. Dancing with the Beast is a survivor’s suite; a collection of what it means to be human, a meaning that is not guaranteed of sunshine and happiness. Her music is wider than Nashville. It merges country, folk, Americana and rock. It’s that paradox of being all soul without being soul. Peters’ words are sharp, and cut to the bone of a situation and a state of mind as in Truckstop Angel about a prostitute (“I swallow their indifference/I choke on my regrets.”) Or in Disappearing Act (“People leave and they don’t come back/Life is a disappearing act.”) On Blackbirds she chiselled a life out of a war vet’s pain. In When All You Got is a Hammer, she has her character lament that “all you’ve got is a hammer and everything looks like a nail”. Peters has been inducted into the Nashville Songwriters Hall of Fame, but her music is wider than Nashville. It merges country, folk, Americana and rock. It’s that paradox of being all soul without being soul. It is also the paradox of being set in context yet being universal and thus timeless. All the figures in the songs are women. She told Unrated magazine: “I didn’t plan to write an album of songs centred around women, and when I started writing the songs for Dancing With The Beast the #MeToo movement was not a thing. But sometimes there’s just something in the air, some kind of collective undercurrent, and I think artists pick up on these things intuitively. “I thought a lot about what happened to my country in 2016, and how I could write about it, given the ugly turn we took. But the songs started to emerge naturally and intuitively. I’ve really been writing about women and girls my whole life, so it’s not particularly surprising that this would be my reaction. They just started talking to me, like characters do. I’m not a protest songwriter, not an overtly political songwriter – but I do know how to tell a story, and I believe that when you tell one person’s story you’re creating a space for empathy. The album ends with the song Love that Makes a Cup of Tea. It is a nod to the small gestures of defiance that can be heroic in the ordinary life. It is the grace note in an ocean of discord. Peters shows you don’t have to shout to be heard. And, for a listener, you just get stopped. And you take it in, the quality of elegy and eloquence.